As in terms of looks, it might be a bit hard to distinguish Apple iPhone 6 Plus and iPhone 6s Plus! To do that, you will need a deeper look into build and design aspect of the device — to find some changes such as the use of one newer alloy of Aluminium that is Series 7000. This change of the coating can bring an extra layer of style & sturdiness to the device, giving a luxury look in the long run. And, as we go inside the device, we can see some noticeable changes like the new A9 Chipset that ensures 70% enhanced multitasking and performance, 2 GB RAM that is good enough to go, etc. 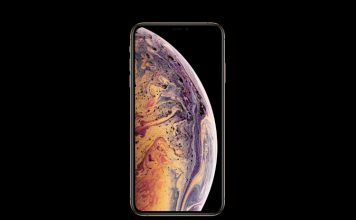 Also, Apple Inc has packed a 12 MP rear camera that can let you shoot videos in 4K quality and satisfactory ways of connectivity such as NFC, GPS etc. On top of all these, we can find the latest version of iOS — iOS 9! And, if we are to return to hardware aspect of iPhone 6s Plus, we cannot but notice 3D Touch, which is an innovative technology to do different things based on the different levels of pressure you apply on the screen. Well, despite all the sturdiness and classy standards of build, you might need some extra-level protection for your iPhone 6s Plus screen, for which it is necessary to use a screen protector. In this post, we shall have a list of top ten iPhone 6s Plus screen protectors. With an impressive set of features — such as the lifetime warranty, complete compatibility with 3D Touch feature & the unaffected touch accuracy —, IVSO Tempered Glass iPhone 6s Plus Screen Protector is one of the best protectors for your iPhone 6s Plus screen. This Tempered Glass-based Smartphone protective layer will be capable of ensuring protection from explosions, shocks, scratches, high pressure etc. and the protection is durable as well. 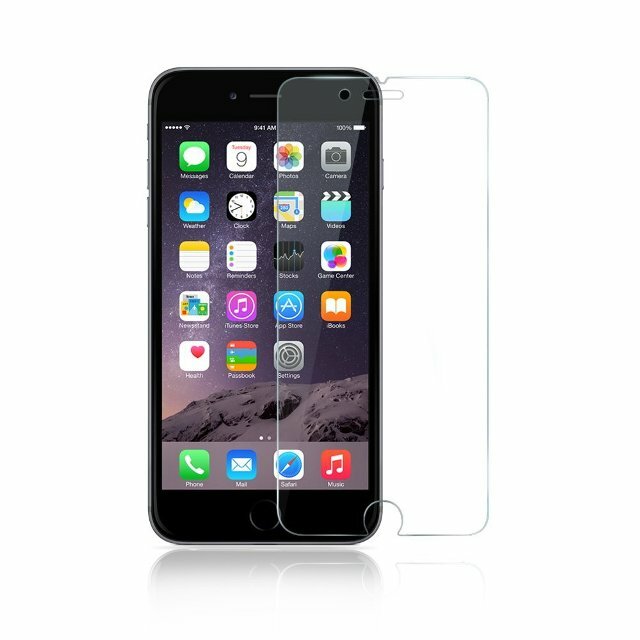 In addition, as opposed to majority of cases available in market, IVSO Tempered Glass iPhone 6s Plus Screen Protector can protect edges of the device as well, even while leaving enough space for accessing ports, buttons, censors and everything. In light of all these, it’s a steal deal. 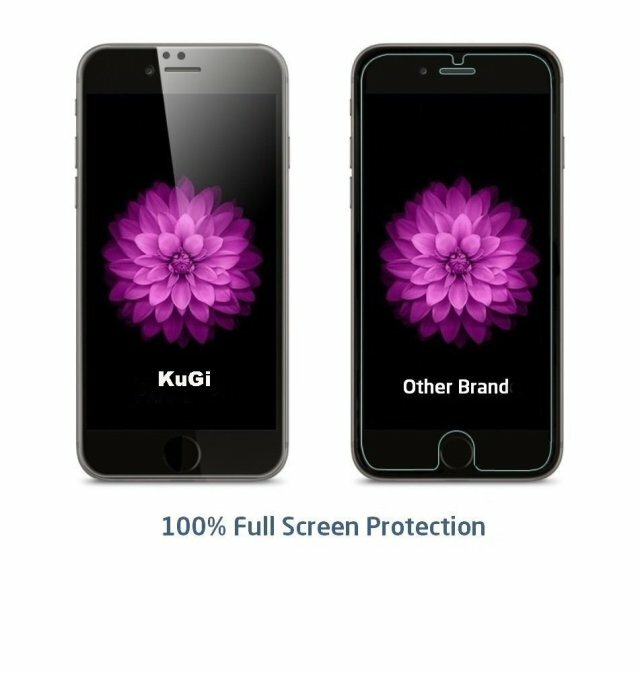 AILUN Tempered Glass iPhone 6s Plus Screen Protector offers best-in-class protection from scratches, fingerprints & dirt etc. Despite the fact that the tempered glass surface offers top-notch toughness, it doesn’t interfere with the 3D Touch feature from Apple. Also, you can be sure that all the edges of your iPhone 6s Plus are covered by Tempered Glass-based layer that can resist different kinds of oily materials as well as water. 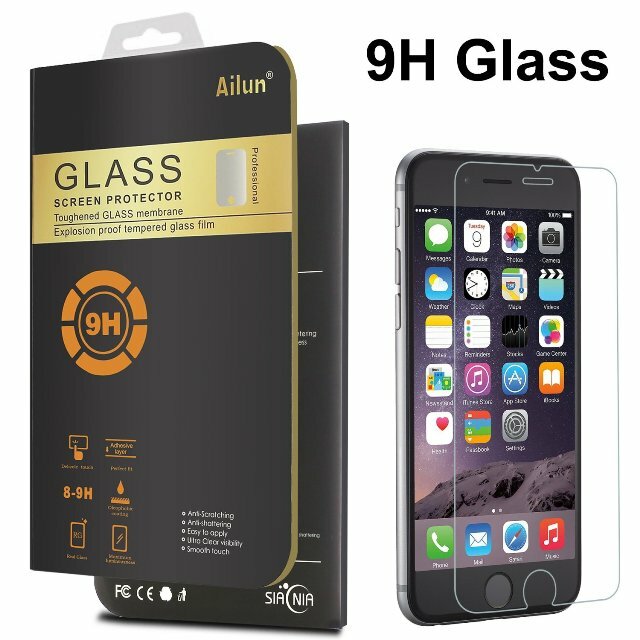 Yet another feature of AILUN Tempered Glass iPhone 6s Plus Screen Protector is that you can install and remove the screen guard in a matter of a few seconds and there will be no bubbles or other remnants, whatsoever. 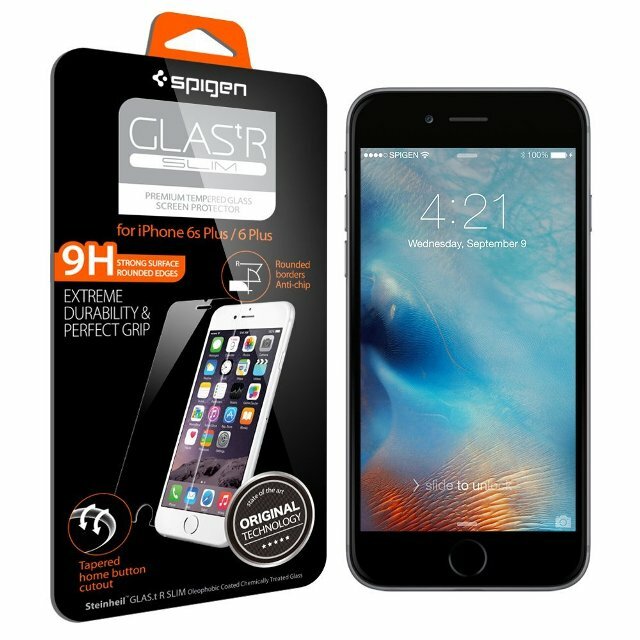 Spigen Tempered Glass iPhone 6s Plus Screen Protector is an iPhone 6s Plus screen protector that covers both edges of your device, and the material used for Tempered Glass is way too hard. We can depend on its 9H hardness when you want to make your iPhone 6s Plus face problems such as dirt, dust, oils, fingerprints, smudges etc. As this layer is covering edges, you can be confident that chipped and sharp edges wouldn’t be a problem to your iPhone 6s Plus. It is to be noted that the screen protector comes with installation guides, as to leave no bubbles or remnants. Also, the sensitivity of your Smartphone screen wouldn’t be affected because you install this cover. On top of all, it’s a product from Spigen. 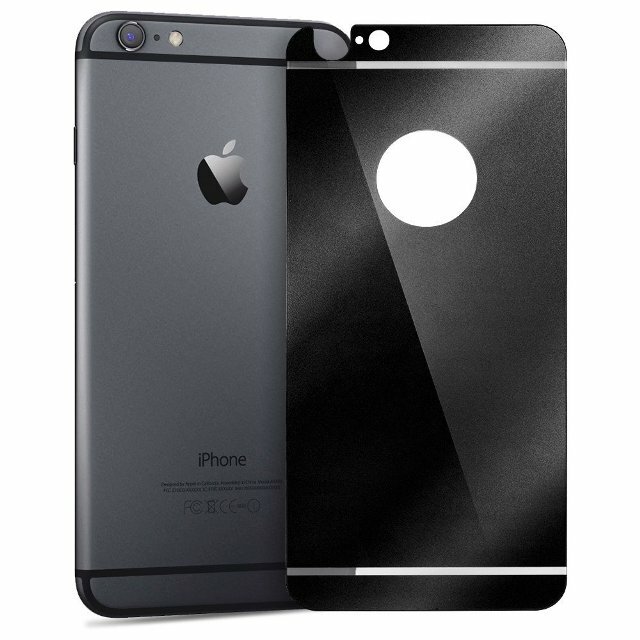 Designed specifically for Apple iPhone 6s Plus, Sparin Tempered Glass iPhone 6s Plus Screen Protector gives superb-level protection from common issues, such as scratches, dirt, dust etc. 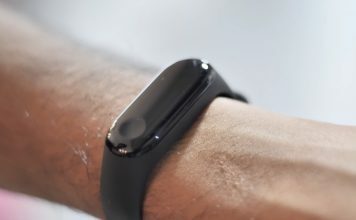 The material used for manufacture is 0.18mm thick Tempered Glass layer that is resistant towards even an advertent strike from a heavy object. In that respect, it will be possible for you to protect the screen using Sparin Tempered Glass iPhone 6s Plus Screen Protector. Due to the thinner layer, you will be able to have 45% more brightness in the screen. Also, it’s to be noted that hardness of protective layer is 9H, which is as strong as a knife. Also, High Definition quality of your screen is not compromised in any case. Anker Tempered Glass iPhone 6s Plus Screen Protector has been engineered, keeping in mind both usability and the power of precision. It is to be noted that the protective layer is limited to the flat area surface of your iPhone 6s Plus, and the edges would be there without any further protection. Also, with a hardness that is similar to that of a knife, Anker Tempered Glass iPhone 6s Plus Screen Protector can protect the device screen from a handful issues such as dirt, dust, scratches, bumps, shocks, shatters etc. 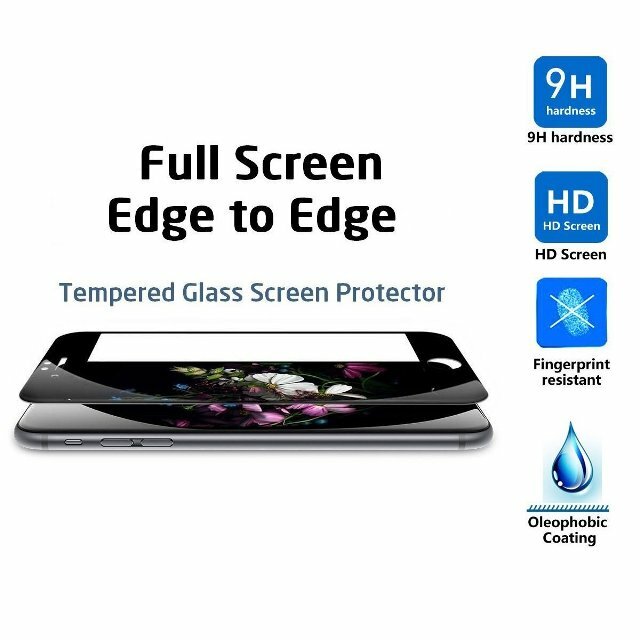 The best part of this protective layer is that it can give you smooth touch experience, especially when compared to the PET screen protector films out there. By the way, you get all the required accessories for easier installation when you purchase the screen protector. At an extremely affordable price, Pro has come up with a worth-depending upon screen protector for your iPhone 6s Plus — Pro Ultra-clear iPhone 6s Plus Screen Protector. 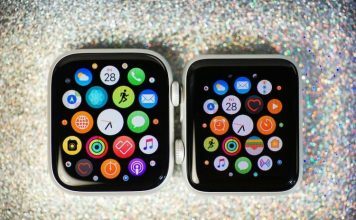 The protective layer has a hardness level of 9H, though the thinness has been brought down to 0.26mm, which is relatively lower, for that matter. In addition, the case is meant to help the iPhone 6s Plus screen from scratches, shocks, shatters, dirt, dust, water, different kinds of oily stuff etc. The company says that the layer would be powerful enough to withstand a hard blow. Pro Ultra-clear iPhone 6s Plus Screen Protector comes with all the necessary accessories in such a way that you won’t have a quicker installation. 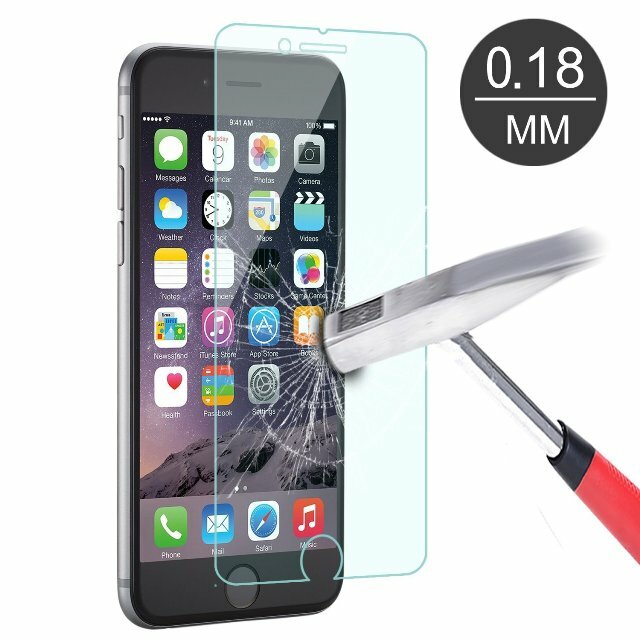 Vostrostone has taken an extra effort to make sure that Tempered Glass iPhone 6s Plus Screen Protector fits perfect for your iPhone 6s Plus screen, even while ensuring that retina display clarity or the accuracy of touch screen would not be affected. Talking of the material, tempered glass has a hardness level of 9H and the glass surface is resistant towards commonly known issues such as smudges and fingerprints. Also, to make things rougher than you expect, the firm has included an Anti-Burst Technology as well. And the protection offered is complete — covers every bit of your iPhone 6s Plus screen, thus offering best results in the long run. 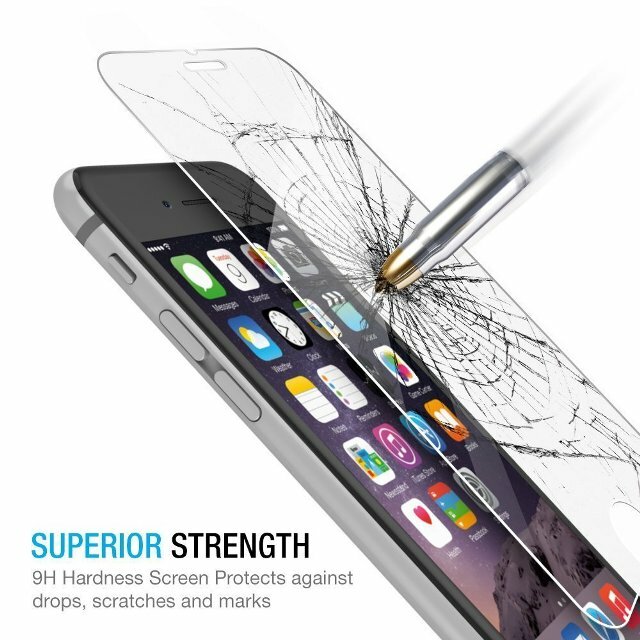 Furthermore, Vostrostone Tempered Glass iPhone 6s Plus Screen Protector is available for an affordable price. 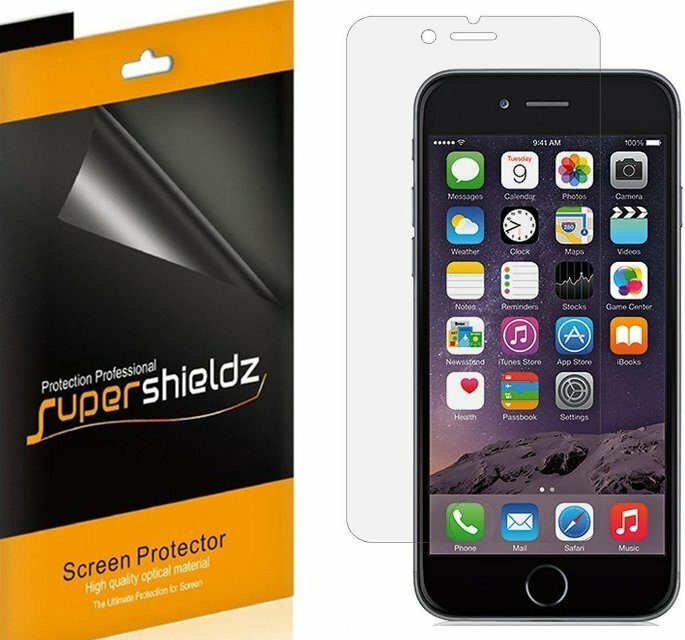 Supershieldz Clear iPhone 6s Plus Screen Protector is different from other iPhone 6s Plus screen protectors in the list in the sense that it is manufactured using a Japanese PET Film. 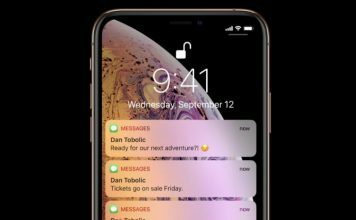 However, the firm has been precise enough to make sure that no bubbles would be left at the end of installation; nor will there be some remnants when you take that off your iPhone 6s Plus screen. In addition, Real Life Sensitivity is an impressive feature of Supershieldz Clear iPhone 6s Plus Screen Protector, and the transparency of film has been maximized in such a way that you get best results as in case of viewing. Despite being made of PET film, you don’t have to fear about scratches. However, it’s one of most affordable screen protectors as well. With a lot of protection-oriented features such as the real tempered glass layer, oleophobic coating, etc, GLAZZ Tempered Glass iPhone 6s Plus Screen Protector can be one of the best companions for your iPhone 6s Plus screen! 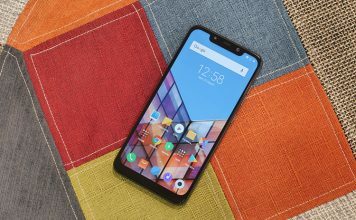 The included oleophobic coating can protect the screen from oil, dirt, dust, water etc and the style additions of the screen protector is just superb, we bet. The tempered glass used for manufacture has a hardness level of 9H, but it does not affect touch accuracy of your iPhone 6s Plus. 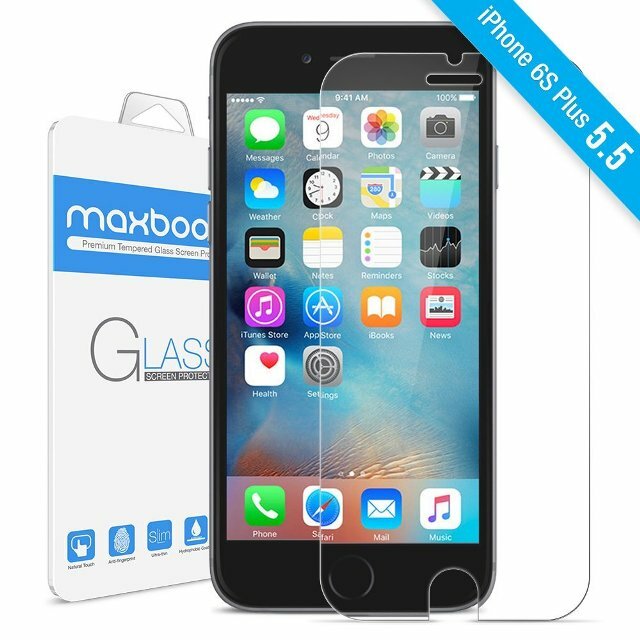 We would say that GLAZZ Tempered Glass iPhone 6s Plus Screen Protector is one of the most stylish screen protectors you can have for your iPhone 6s Plus; and, considering the features, its pricing is cheap too. Have you used or are using any screen protectors for your iPhone 6s Plus? We would like to know about them via your comments.